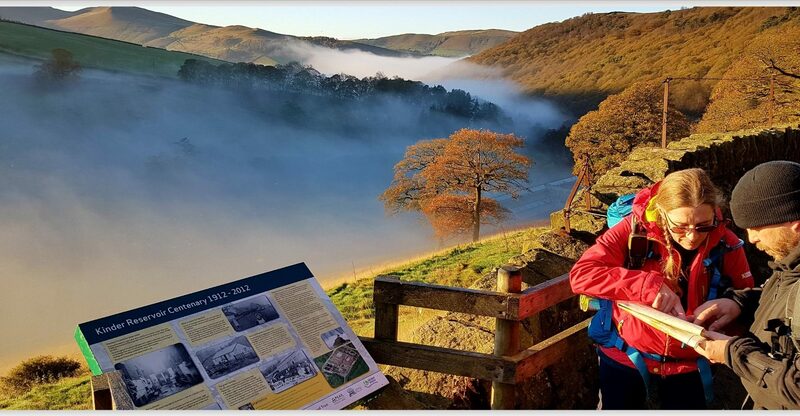 It was late October 2017 (I know I have a lot of blogging catch up to do) and I set off North to The Peak District with my lad Finlay. We were off to join teams from London and Southern Area Sea Cadets undertaking their Gold DofE Expedition. It was a busy 5 days and the weather was glorious resulting in some fabulous Golden Peaks. 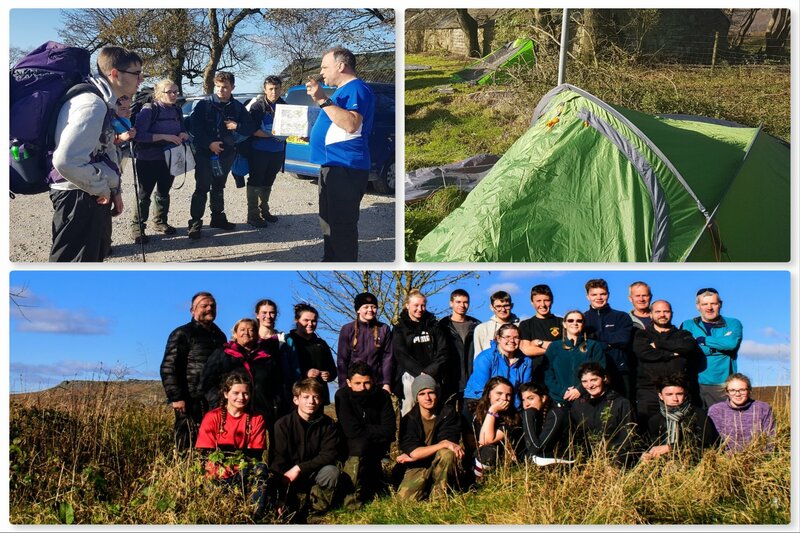 The cadets and young instructors undertaking their Gold Expedition had four tough days ahead of them carrying all their food and kit as they hiked through The Peaks. 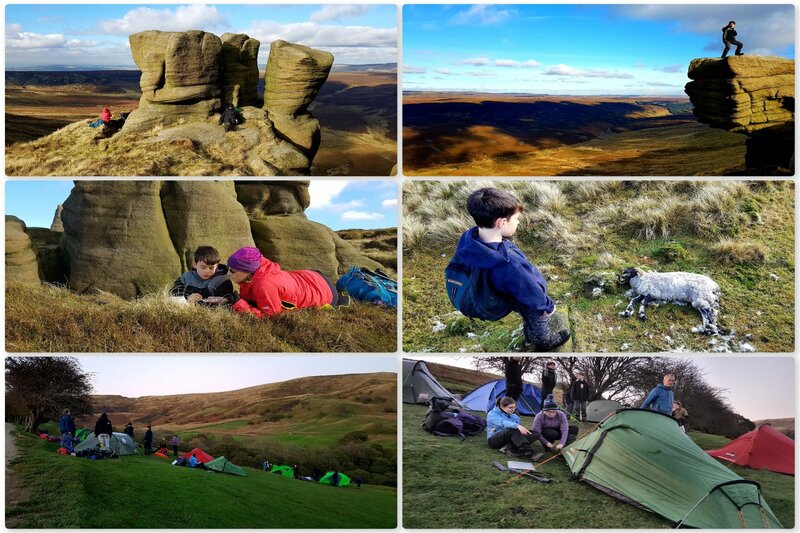 It was a windy but warm Peak District that greeted us on their first day. Setting off from Pindale Farm they soon passed through Castleton and ascended up onto Mam Tor. This is a steady climb but one that affords great views on a clear day. All the staff headed off to different locations to ensure that the teams walked the route (they do this without supervision) safely. 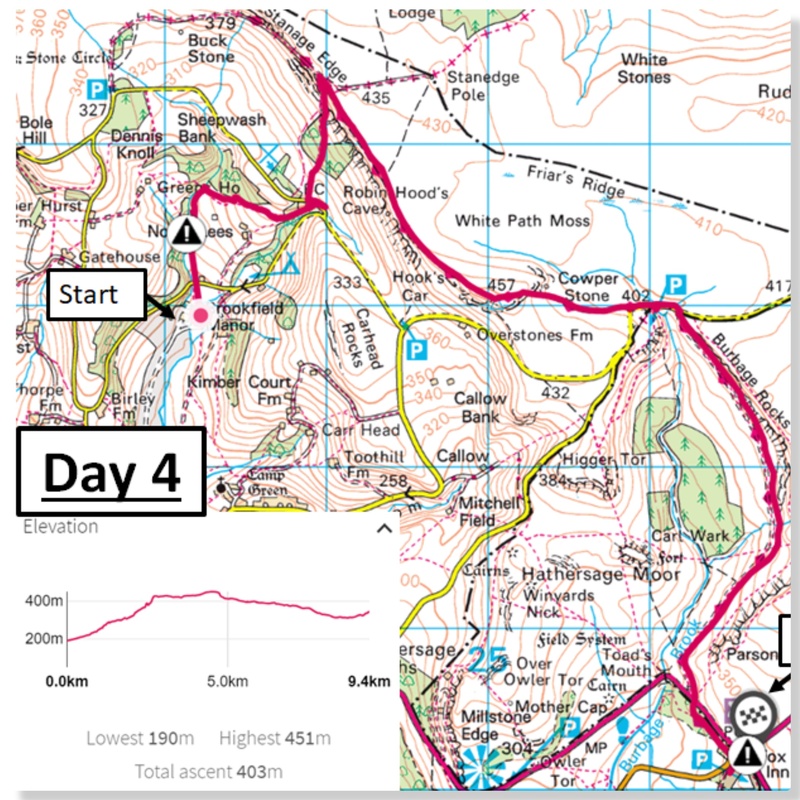 I went onto the slopes of Mam Tor with Finlay and Dave Lewis. 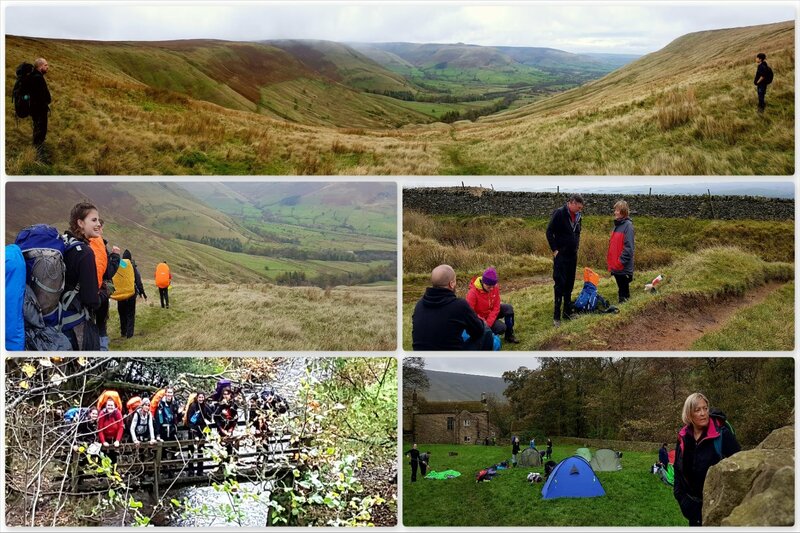 After Mam Tor the teams headed West along the gentle ridge that is Rushup Edge before heading North down into the beautiful Edale valley. 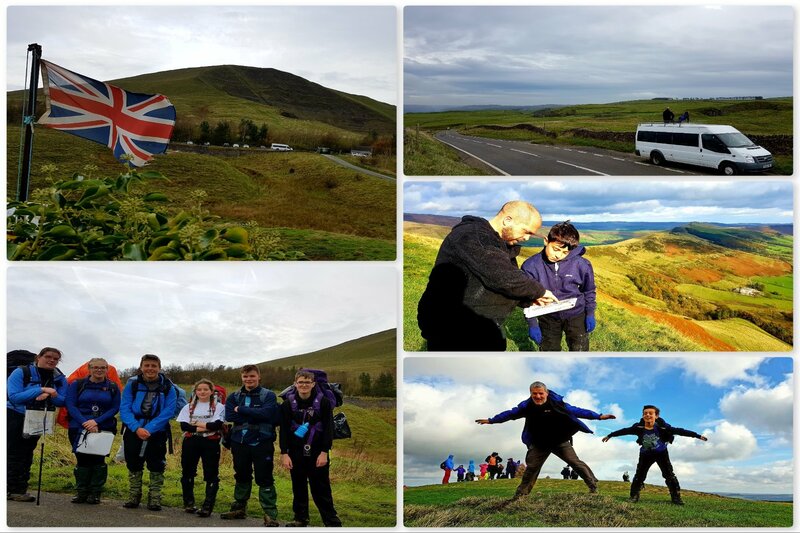 We met the teams a couple of times along the way but otherwise left them to their own devices as we explored the countryside and practiced our own nav. Camp for the night for the expeditioners was the remote but rather well laid out campsite at Upper Booth Farm. 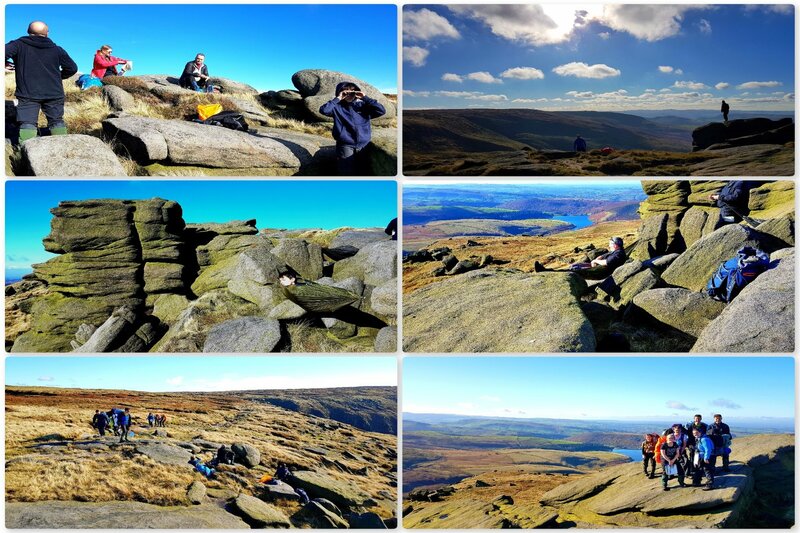 This was a tougher day for everyone as the route was up and over the Kinder plateau. The weather was clear so that made the nav much easier for everyone (including ourselves). 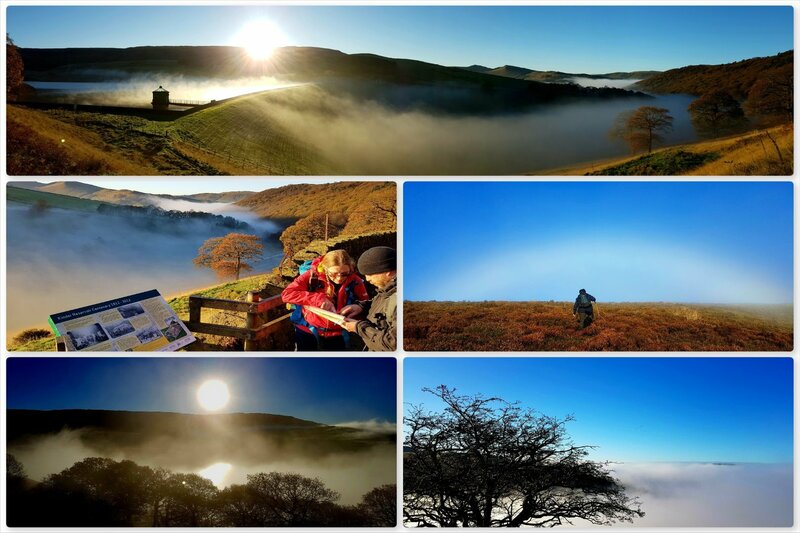 I did not see everyone leave camp as I set off to ascend Kinder from the small town of Hayfield on the Western slopes of Kinder with Dave, Nina and Finlay. There was a temperature inversion that morning and the mist was trapped in the valley. The mist slowly crept up the valley until it topped out onto Kinder reservoir making for a great panoramic. I also spotted for the first time a Mist Bow. This happens rarely – when you get sunlight reflected off water and through mist. Once on top of the Kinder plateau we settled down into some crags and got the hammock out. I carry my EDC Hammock around with me for just such occasions. We spoke with the teams as they passed through our positions and it was good to see them all in good form. I followed the last team from a distance down Snake Path while the rest went back to Hayfield. We all met up again at the campsite the expeditioners were using that night. The weather turned on Day 3 with lots of low cloud and rain. 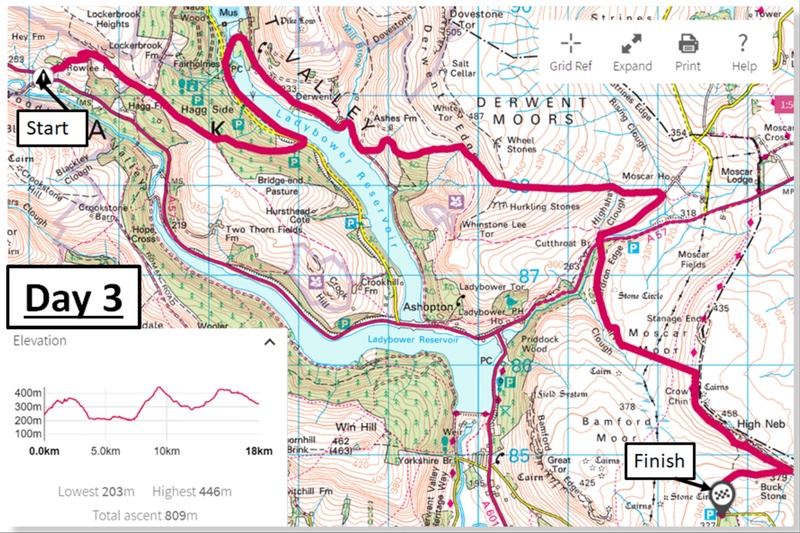 Finlay had left the expedition the night before with my wife Alison so just Dave and myself headed off up into the woods over Ladybower Reservoir to meet the teams. We eventually spotted them all as they hiked on through the clouds and rain. Eventually the clouds lifted but the rain did not. 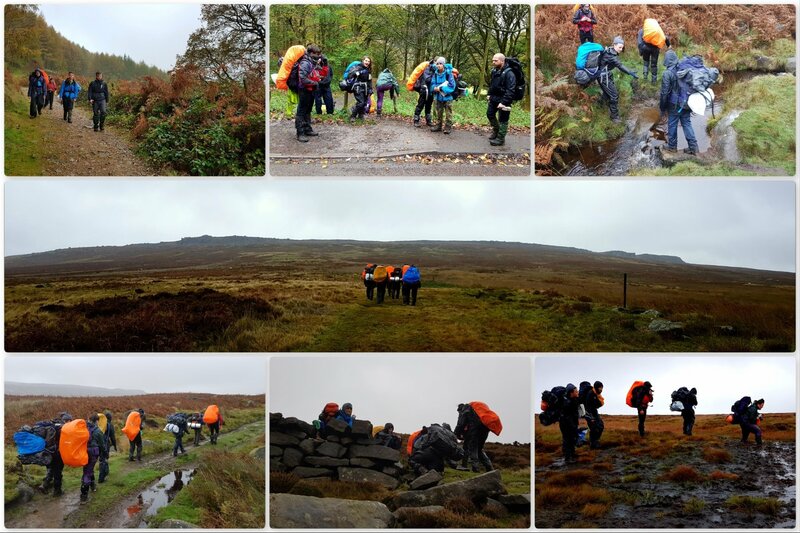 The teams walked up onto Stanage Edge later in the day and the wind started to pick up. 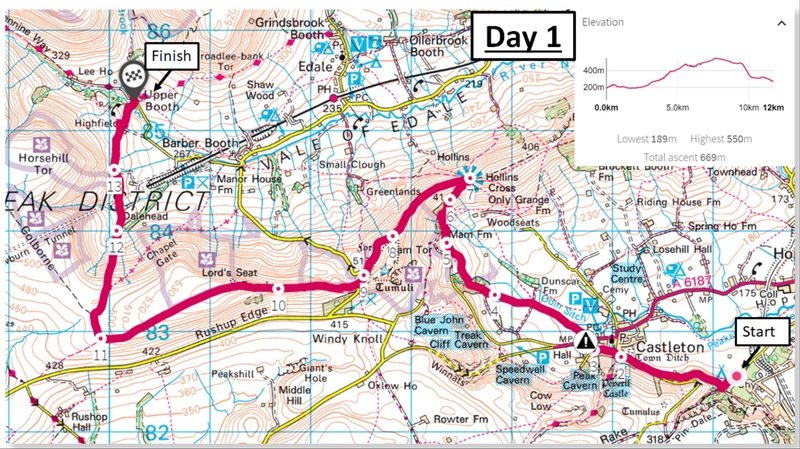 Luckily they only had a short section to walk along the Stanage path and were soon down into the shelter of the woods and their camp for the night. 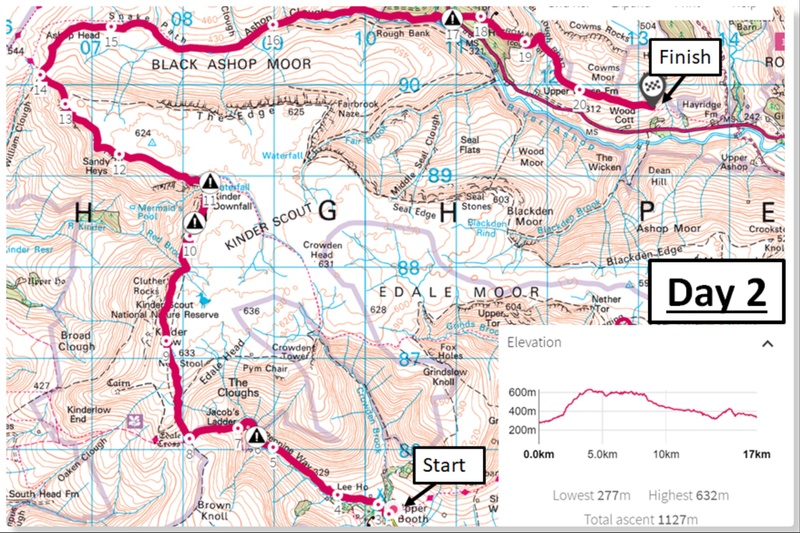 I did not see the teams on this part of the route but thankfully the weather improved greatly for their last day. Straight after breakfast they were back up onto Stanage Edge and hiking South East to the finish at the Fox Inn. After a short de-brief all the kit was dried out and the ‘Survivors’ group photo was taken. 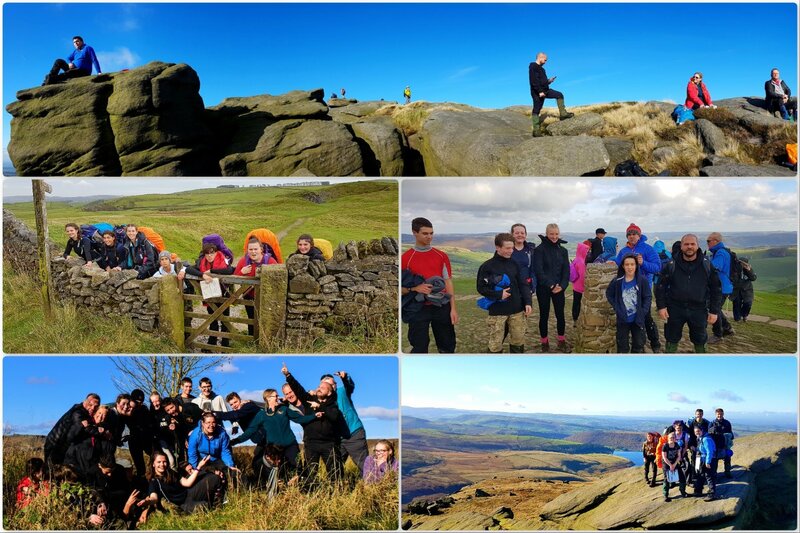 There ended a fantastic October expedition to The Peaks.